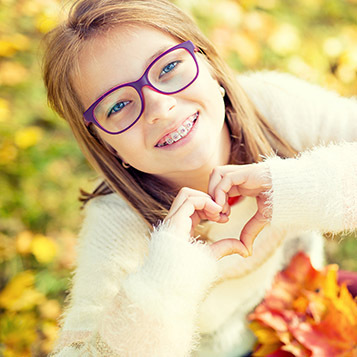 Diode laser treatment provides several benefits for patients receiving orthodontic care. By using a specialized diode laser, we are able to safely and effectively remove excess gum tissue in order to expose more of the tooth's surface for better aesthetics and function. Your gum tissue serves as a "frame" for your teeth; orthodontic lasers are used to sculpt the gums around the teeth in a way that helps improve the overall appearance of your smile. The best part of laser treatment? In most cases, there is no need for needles! We simply apply a topical anesthetic to the gum tissue being treated so all you feel is the slight movement of the laser tip. If your gums haven't receded properly, or if a tooth is erupting slower than expected, a laser can be used to remove excess tissue and reveal enough tooth surface to place a bracket. This can also be used to place TADs as an alternative to headgear. Impactions refer to teeth that haven't erupted properly through the gums. By using laser treatment, we can assist a tooth's eruption without the need to wait months for the tooth to erupt on its own, or to refer an expensive surgical procedure. Following the removal of your braces, your orthodontist may recommend recontouring your gum line to maximize the aesthetics of your smile. Aesthetic gingival recontouring is a procedure to reshape the gum line to improve the aesthetics of your smile by exposing more of your teeth. Your orthodontist will use a laser to remove excess gum tissue around the upper teeth to make them look longer. If the gum line is uneven, aesthetic gingival recontouring can also sculpt the gum line to produce a more symmetrical, balanced smile.